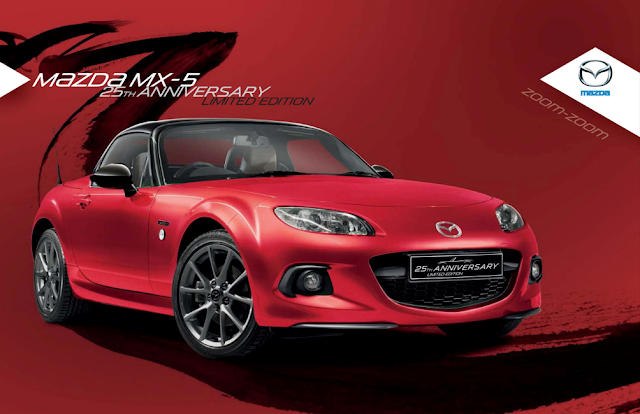 As part of the MX-5's 25th birthday celebrations, Mazda introduced this 25th Anniversary special edition at the 2014 New York motor show. 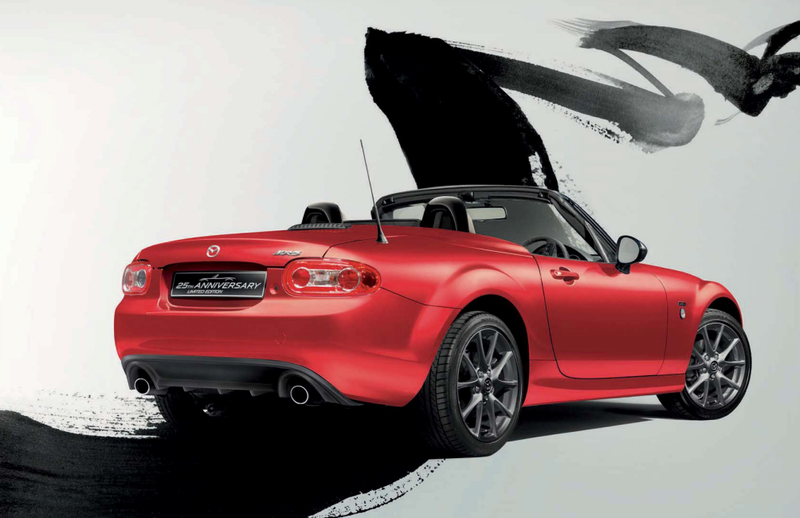 The car was marketed as a "Thank You" to Roadster enthusiasts over the last 25 years and was unveiled along with the new SkyActiv chassis of the eagerly awaited fourth generation model. 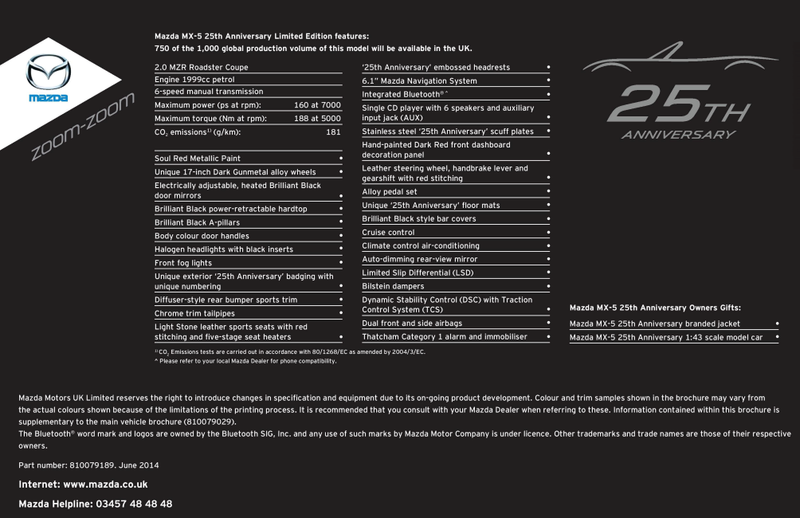 The USA's 25th Anniversary model is based on a 6-speed manual or automatic 2.0 coupe model and comes with some unique features to set it apart. 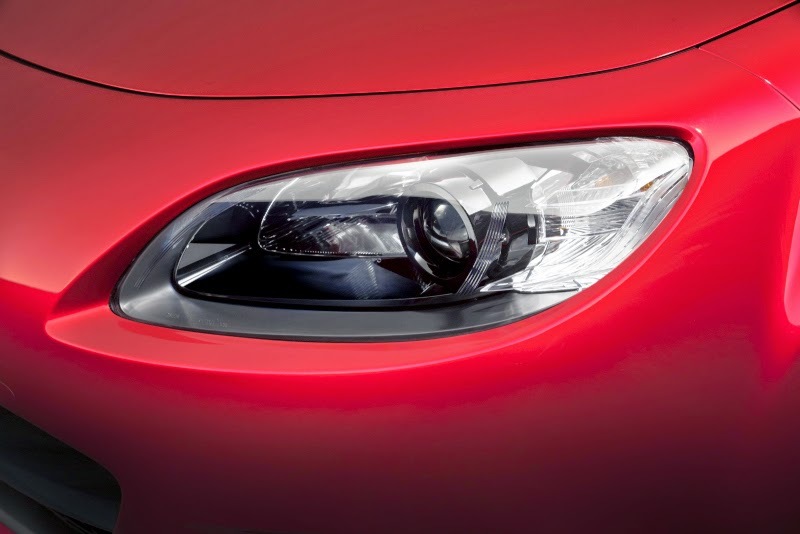 Starting with the exterior, the car is exclusively offered in the latest shade of red as used on the new Mazda 3 and 6 models. This colour is known as Soul Red Metallic and features a triple layer finish with specially aligned aluminium flakes in the basecoat. 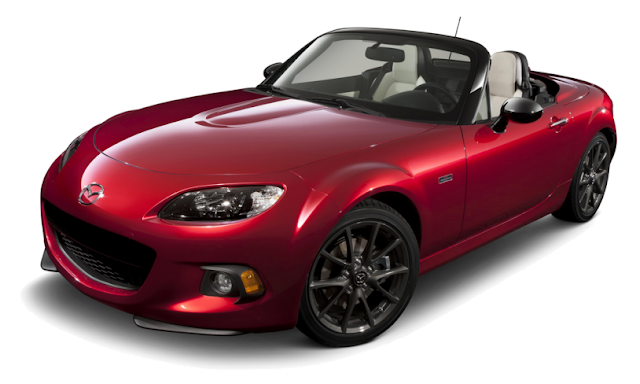 Some of the publicity pictures give the car a purple hue, but in reality it is a really impressive deep red. The exterior also features the black contrasting parts used on previous editions. 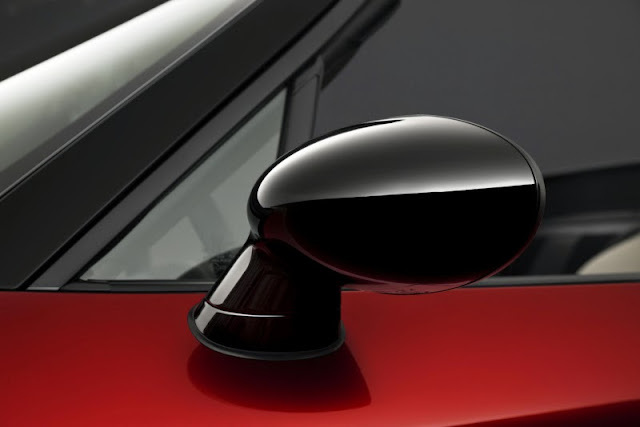 The retractable roof is black, as are the door mirrors (they also seem to be the older style on the USA model), the rollbar trim, and the headlight trim. The windscreen surround is painted black for the first time on a special edition. The 17" alloy wheels feature a dark gunmetal finish which works well with the overall look of the car. 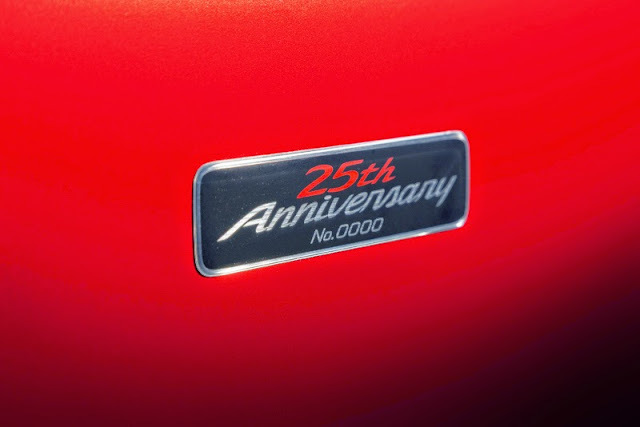 To finish off the exterior appearance, a single 25th Anniversary numbered badge is fitted to the driver's side front wing. 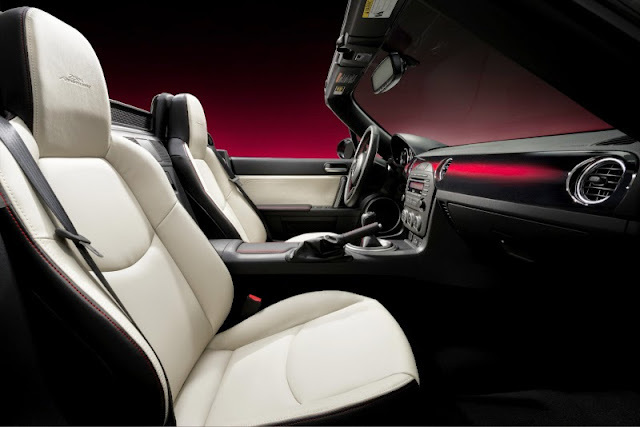 The car's overall appearance is very similar to the Velocity Red Sport Black and Kuro. Moving to the interior, this edition is fitted with off-white almond coloured heated leather seats with 25th Anniversary logo branding. 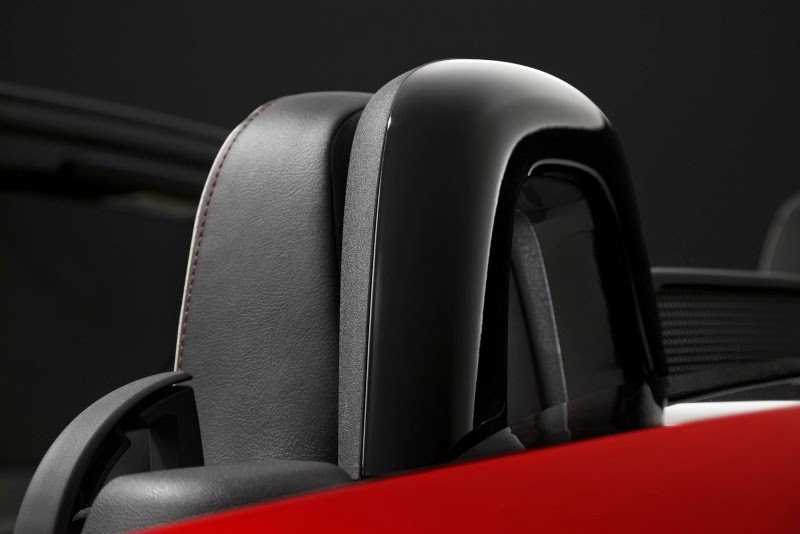 The door panels feature a matching trim piece and there is red contrast stitching to the seats, door panels, armrests, gear shift, handbrake, and centre console. Back in 2009 with the 20th Anniversary we had red leather Recaro seats in a white car, now in 2014 Mazda have reversed that colour scheme but sadly decided against using the Recaro seats. 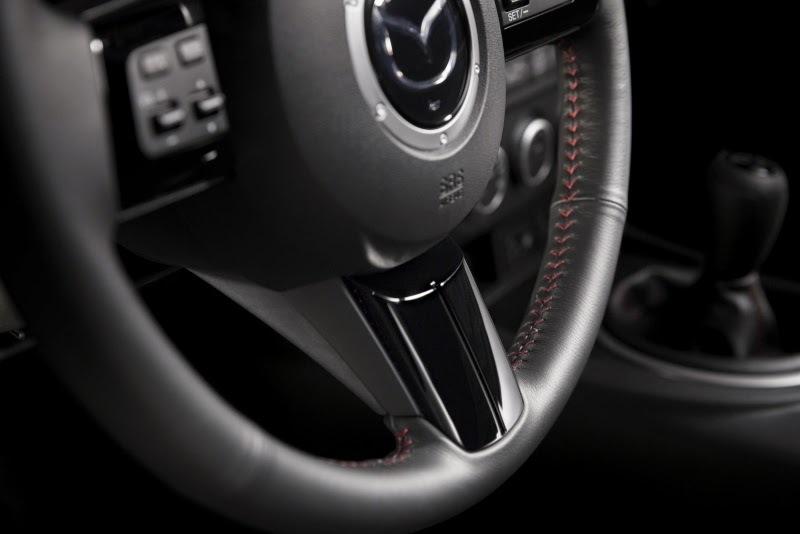 The leather steering wheel features red stitching and is fitted with piano black trim pieces. Inner door handles, instrument gauges, and heater vent rings have a satin chrome silver finish, and there is also a set of alloy pedals and 25th Anniversary stainless scuff plates included. 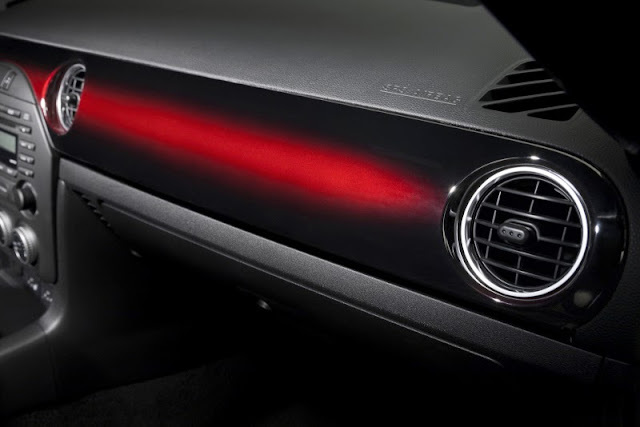 The dashboard trim panel has a special hand painted finish with a black gradation over a red base, this really helps give the interior a unique look. 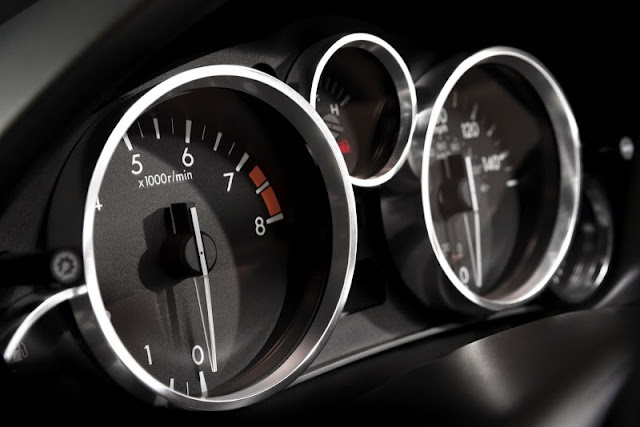 In terms of performance the engine was given the best of the best parts from the factory. 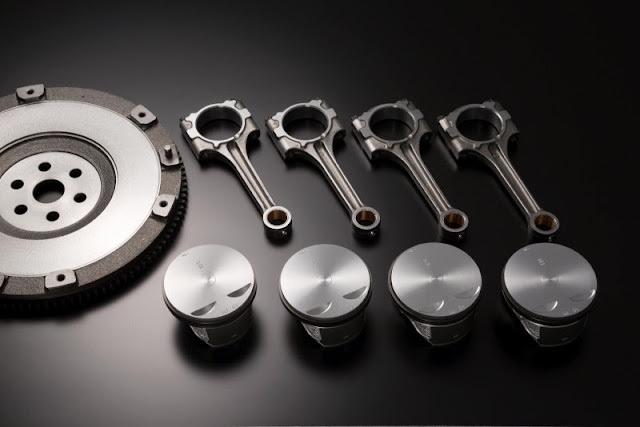 Mazda engineers hand-picked the pistons, connecting rods, and flywheel, to give the 25th Anniversary's engine the best possible characteristics. 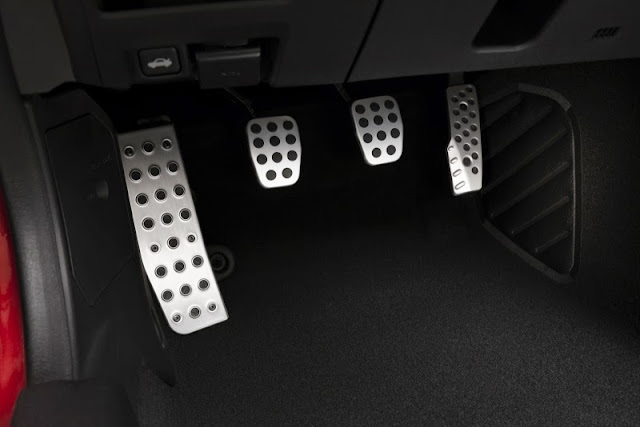 They did the same with the previous 10th Anniversary NB model and talked about how it resulted in an improved driving feel. Here the MZR engine is said to rev more freely with improved response to the driver's input. 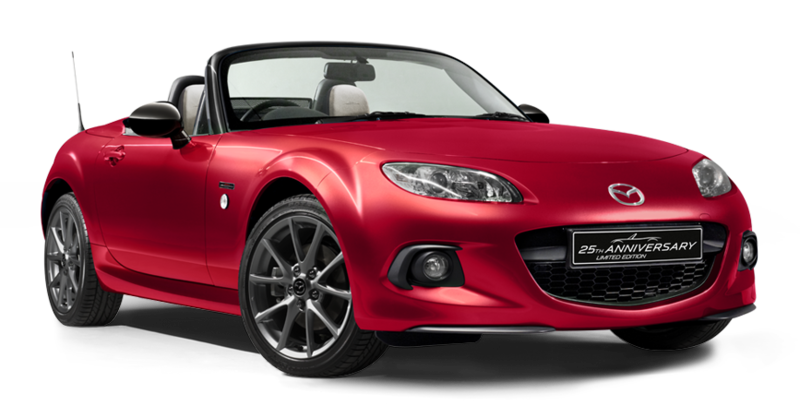 The 6-speed manual version also gets Bilstein dampers, but other than that the mechanical specification is the same as a regular 2.0 MX-5. The 25th Anniversary special edition was initially announced for the USA market only with just 100 cars made available. As a bonus gift to the lucky 100, Mazda is also including a unique watch from Tourneau. 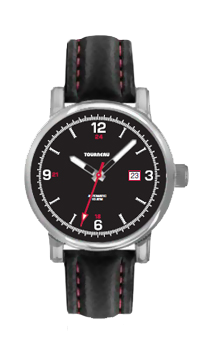 This watch features a 42mm diameter genuine crystal face with anti-glare coating, exhibition case back to showcase the watch movement, Italian-made genuine leather black strap with contrast red stitching and deployant buckle, the watch and its display set also feature MX-5 and 25th Anniversary Edition logos. 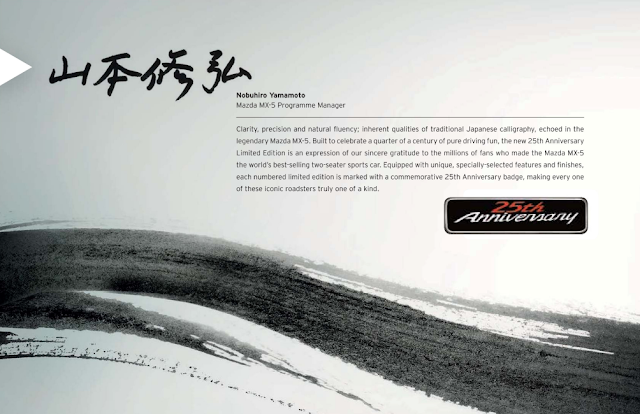 This is sure to become a collectible item amongst Mazda enthusiasts, just like the 10th Anniversary watch. When the pre-order website went live on May 20th 2014, all of the allocated 100 cars were reserved within 10 minutes. 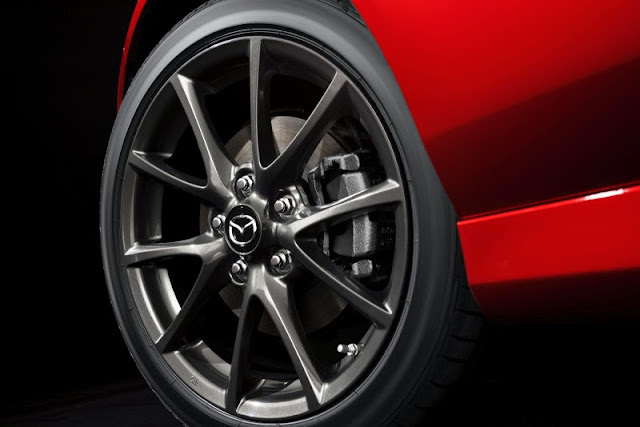 Mazda USA released a statement shortly afterwards saying "...the consumer anticipation and fervor with which the limited-edition model was sold was not entirely unexpected but a pleasant surprise nonetheless." 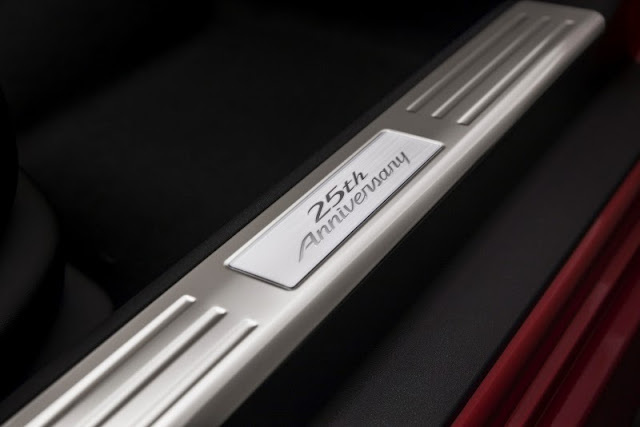 Not long after the debut in the USA, Mazda announced the 25th Anniversary model will also be sold in Japan as a very limited model with only 25 available. To get your hands on one of these 25 cars you needed to register via the pre-order website with sales being on a first come, first served basis. It was not possible to simply walk into a dealership and buy one. According to the Roadster Club of Japan, the 25 cars sold out within 2 minutes and the pre-order website closed shortly afterwards. The Japanese model is based on the RS Coupe (RHT) with the 6-speed gearbox, Bilstein suspension, and LSD as standard. The special features are the same as described for the USA model. 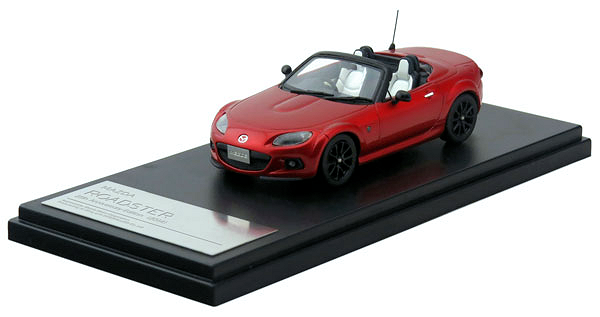 A nicely detailed 1/43 model of the car made by Interallied was available from Mazda. 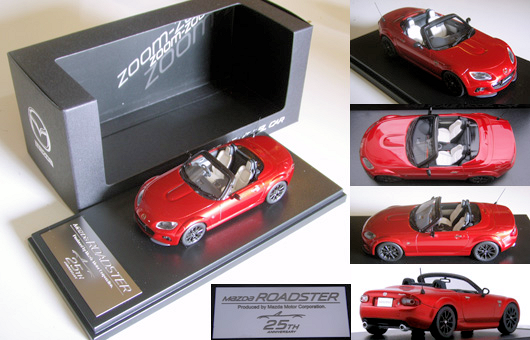 The Roadster Club of Japan offered a version of this collectible for sale to club members that looks to have a different display plaque, it costs around £50 and was limited to 160 units. 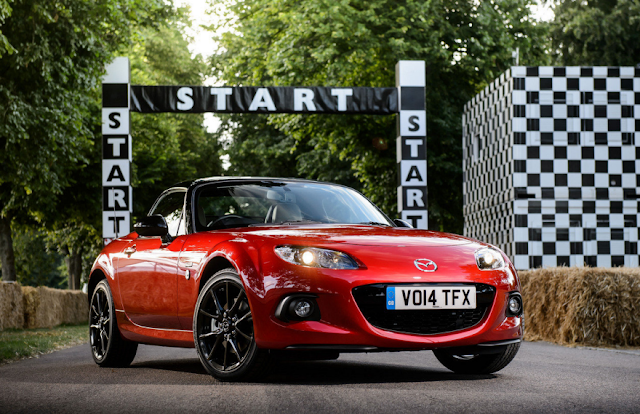 Mazda UK organised a 25th Anniversary celebration display stand at the 2014 Goodwood Festival of Speed with the UK's limited edition premiering at this event. As testament to our continued love of convertible driving, Mazda have made available 750 cars which is a huge number compared to what is available elsewhere. We also have car number 0001 of 1000. The UK car is different to the versions offered in Japan and the USA. 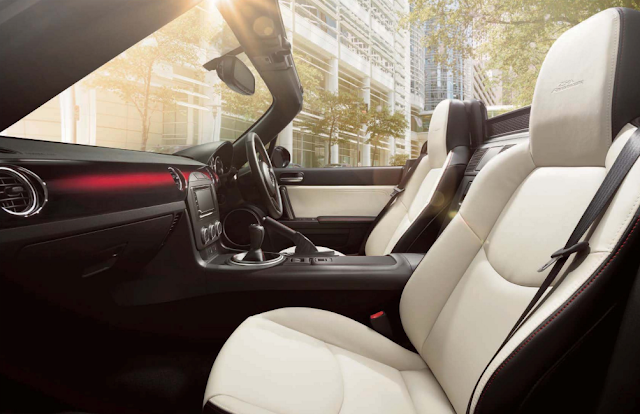 It is based on the 6-speed manual 2.0 Sport Tech Nav trim level so has the 6.1" Alpine touchscreen navigation system instead of the BOSE stereo. The rear bumper diffuser trim is standard fit as are larger chrome exhaust tailpipes which give the same look as the Kuro. There doesn't seem to be any mention of the UK car featuring the hand picked engine internals other markets have talked about, and the polished door handle covers have gone. 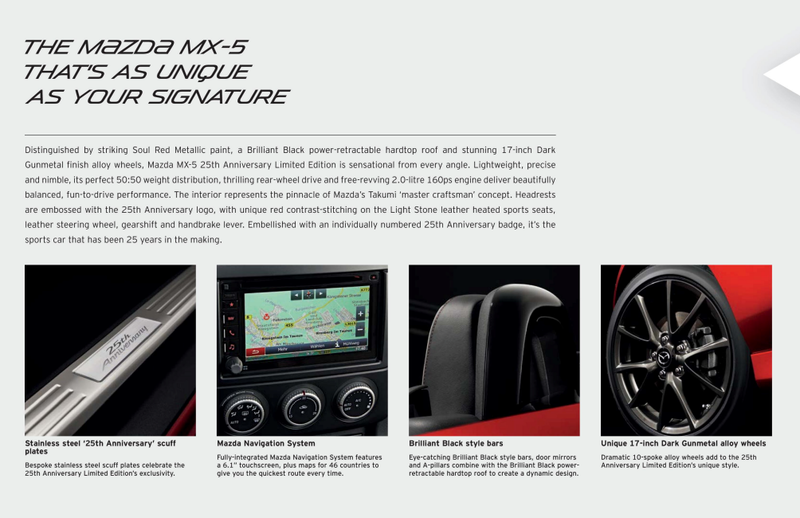 Buyer's of the UK 25th Anniversary MX-5 get some commemorative gifts in the form of a uniquely badged brochure, the 1/43 scale model, and a special 25th Anniversary branded jacket. The car went on sale 1st August 2014 priced at £22,995. The total production run of this model is said to be 1000, with 100 for the USA, 100 for Canada, 40 for Australia, 25 for Japan, 25 for the Philippines, and 750 to the UK. This adds up to 1040 cars so either the released figures are wrong or some markets will be disappointed. Continental Europe seems to have missed out but they did have a version of the Sport Venture branded as a 25th Anniversary model with some unique badges. UPDATE: Car number 1055 has recently been spotted by a reader for sale in the USA, confirming there were at least this many produced. Let's take a look through the UK brochure.